I’m going on holiday in a couple of weeks and finally found the time to tick a few of my sewing boxes..
#MMMAY17 – a non work garment. 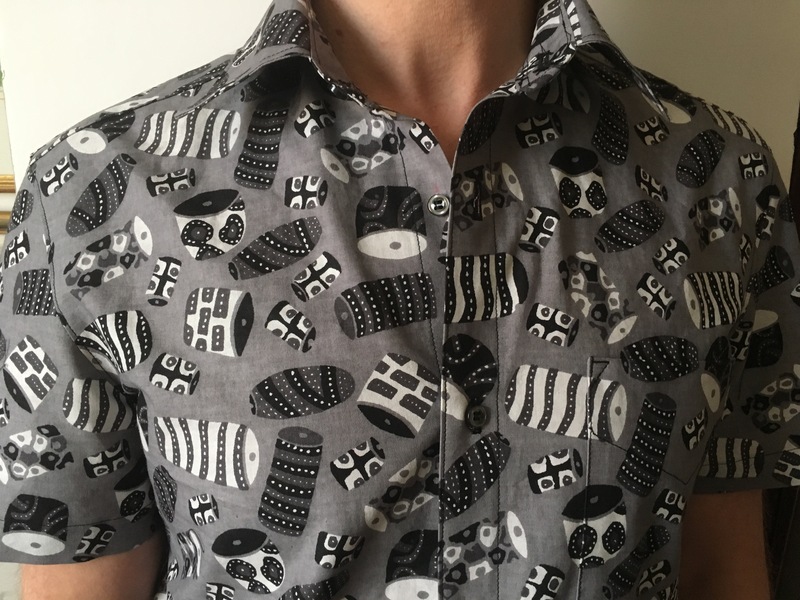 Using the shirt pattern from The Gentlemans Wardrobe sewing book (by Vanessa Mooncie). The fabric was given to me ages ago by one of my hairdressing clients. She bought it eight years ago while travelling in Ghana, came across it in her stash on ‘hair-day’ and decided I should have it! How cool’s that?! I made some dressing gowns out of waxprint before so I know how lovely it is to sew with. After pre washing it softened up a fair bit, but still ironed really crisply. I love this stuff. I got The Gentlemans Wardrobe sewing book a while ago, I made the wallet for my dad. I’ve been on a bit of a jersey-top kick lately and have only just got around to making this shirt. The sizing is pretty limited but I measure up to an S, so I traced that out as a short sleeve. I’ve got reletavely puny biceps and find that most short sleeve shirts are so wide that they make them look punier! So I measured up and took a small wedge out of the sleeve. I’ve done this before to a tshirt pattern. It’s a pretty simple adjustment and makes a big difference to the fit. 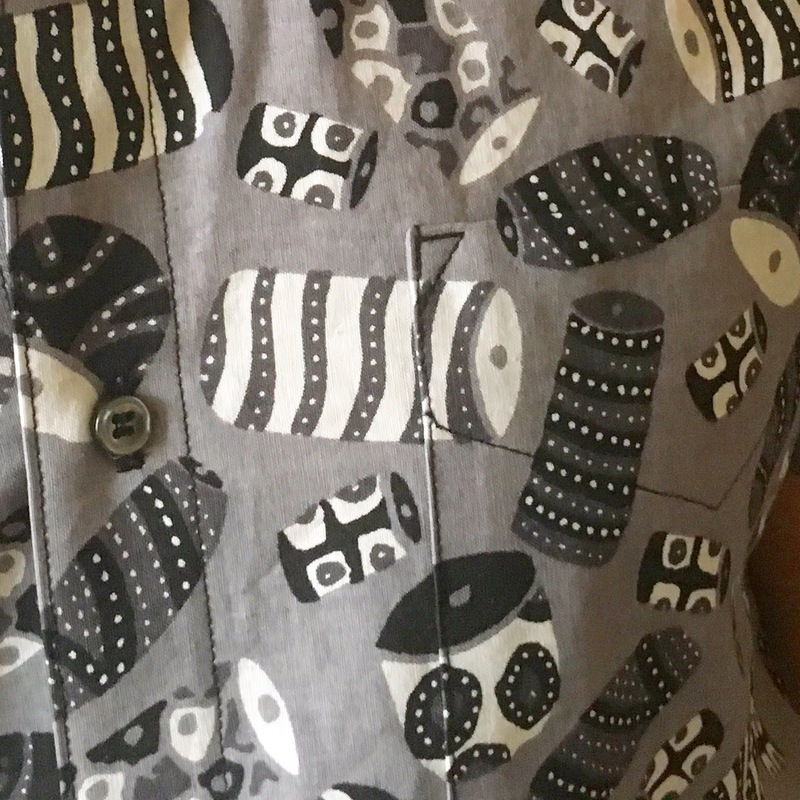 The pattern has a separate button placket which I decided to swap for a folded over placket. As I pinned out the front piece, I measured 6cm from the centre front mark and drew it straight onto the fabric before cutting out. This gave me a 3cm double fold placket on both sides. Other than that, I sewed it up pretty much according to the instructions. It all went smoothly and came together nicely. Another change I did make though was to ‘burrito’ the yoke. 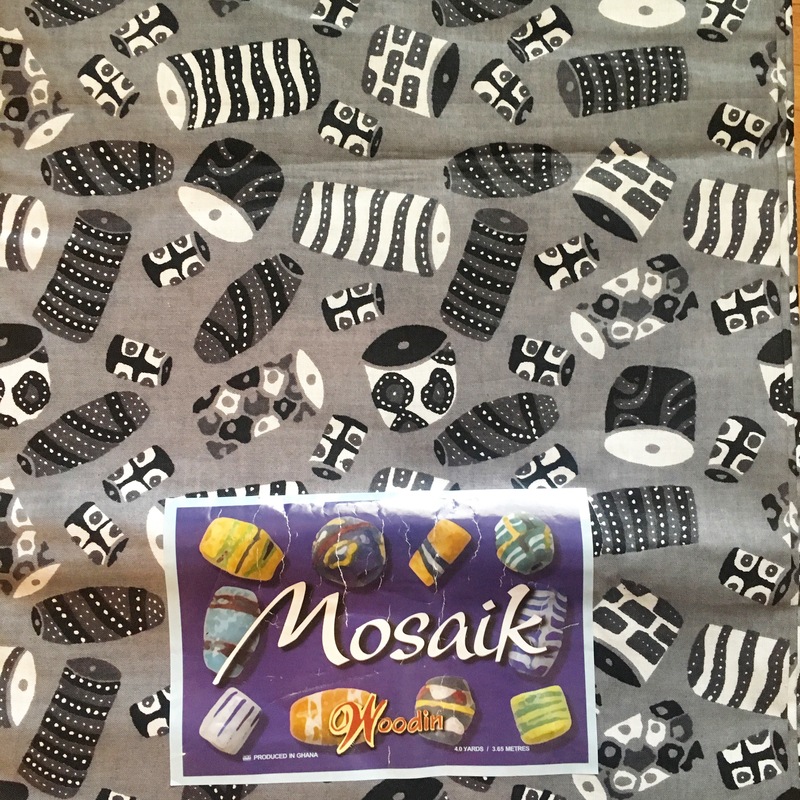 The instructions are to attach the yoke fronts separately by pressing the seam allowance over and edgestitching in place. 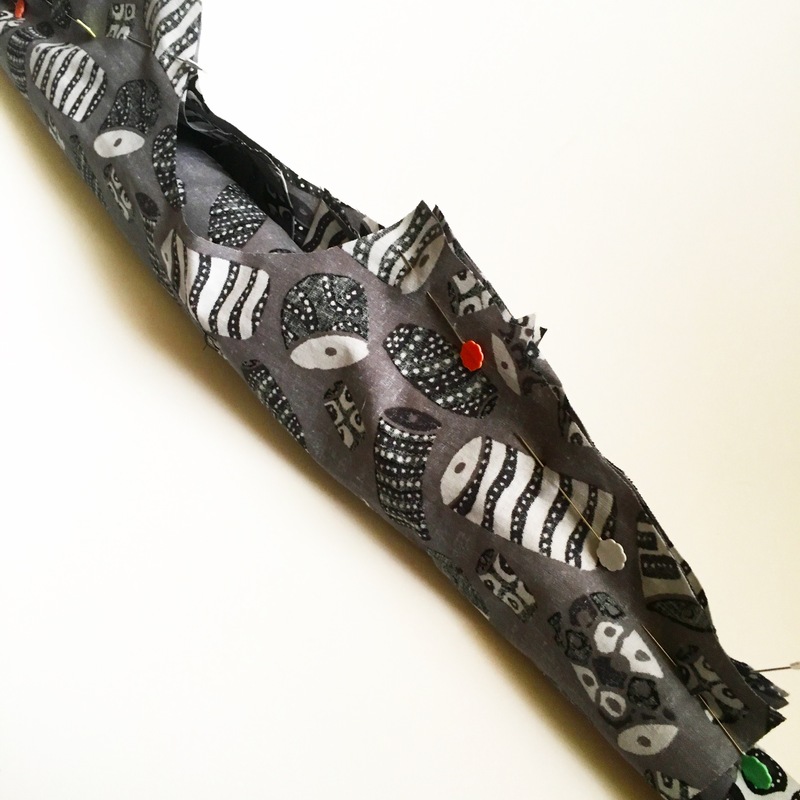 For me, unless the front yoke is shaped, like a western yoke, I prefer to use the burrito method – I find it easier to be accurate and It’s one of those moments of sewing magic that always makes me smile. Sew the back to the yokes by sandwiching it in between the yokes’ right sides. Press the yokes up and topstitch. Pin and sew the fronts to the outer yokes (right sides together) leaving the inner yokes free (1st pic). Roll the shirt back and fronts up towards the yoke (2nd pic). Fold over the inner yokes and pin right sides together with the outer yokes. The shirt is rolled up inside (3rd pic). Stitch the front yoke seams and pull the shirt out through the neck (4th pic). Press the front yoke and topstitch. 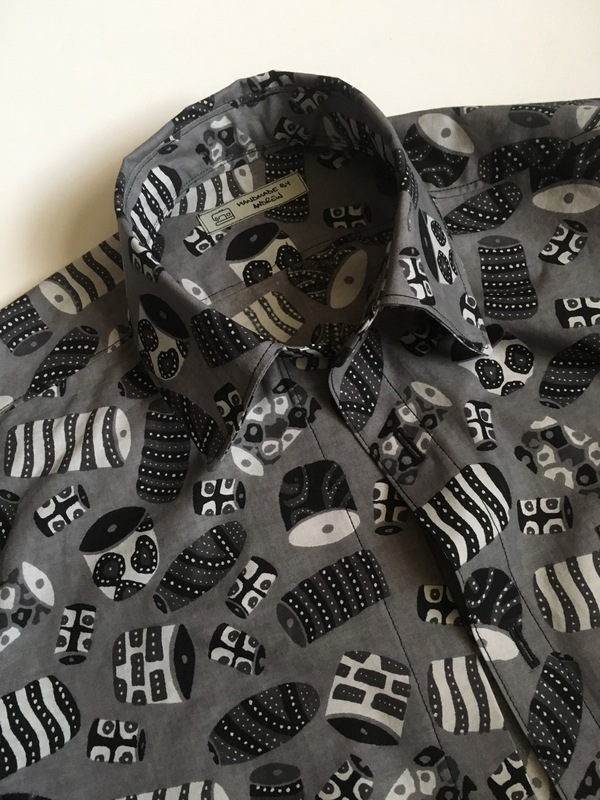 I’ll look forward to making some more of these; it might be my new favourite shirt pattern. Now I can’t wait to go on holiday! I’ll try and get some better photos once I’m out in the sun! Get on the sewing machine at every available moment! Stop stalling and make a start on that coat you keep promising yourself! Matching shorts with the rest of the fabric…?! 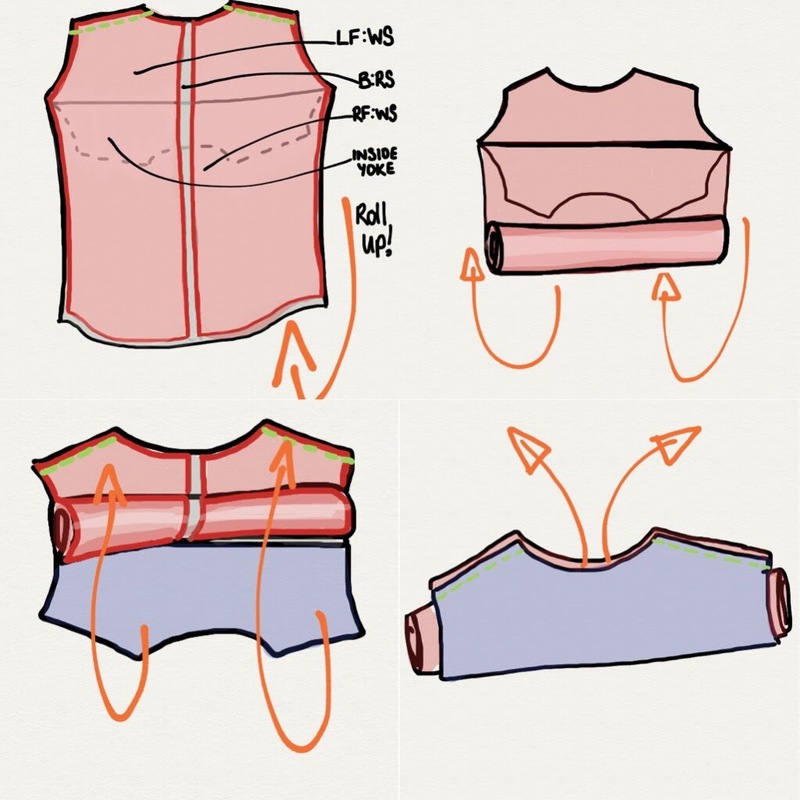 This is the best technique I have learned in all my years of sewing – you describe and draw it well! This came out nicely! And yes, the African wax prints are a total dream to sew with, especially as they take to pressing so well. I’m going to vote no on the matching shorts though, unless you want to get in on the romphim craze and make a faux one? That’s a really rofessional looking finished garment. Love the burrito roll tutorial. Thanks for that.